My roommate and I are both avid soccer fans and strong supporters of women in sports so, needless to say, we have been waiting impatiently for the 2015 Women’s World Cup since the announcement that it would take place in Canada. We took a gamble and bought tickets for the semifinal match in Montréal on June 30th, hoping that Team USA would come out at the forefront of their group and push forward through that bracket to the semifinals. We could not have been more excited when Team USA beat the Chinese team in the quarterfinals and we would see them in Montréal! The morning of the 30th we packed up and hit the road for the border. As we neared Canada, it was increasingly clear that the traffic around us was also headed for Montreal. Sitting in line at the border crossing, people rolled down their windows to chat across lanes, and kids sat atop their cars (with parents holding very firmly onto their feet) waving flags and cheering. 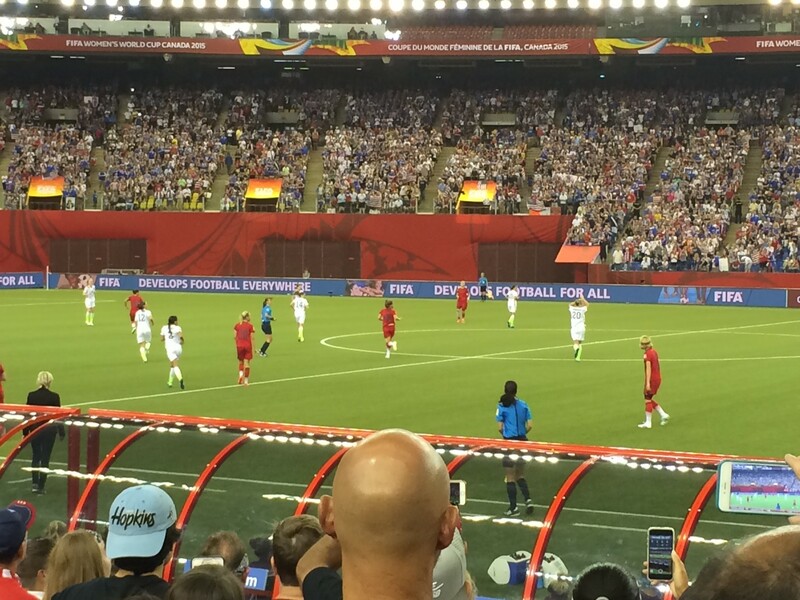 Women’s World Cup 2015 Stadium taken by Emily Gutzmer. Perhaps most unexpected to us was how little English was used on the other side of the border. We were both familiar enough with Canada to know that Québec is a francophone region, but we had anticipated, incorrectly, it turns out, that road signs would be bilingual. My roommate speaks Spanish, and I took two years of French about nine years ago. My rusty vocabulary about ordering food and finding museums was of minimal use as we navigated construction zones, closed lanes, and traffic regulations, but between the two of us we managed. And then we were at Olympic Stadium! 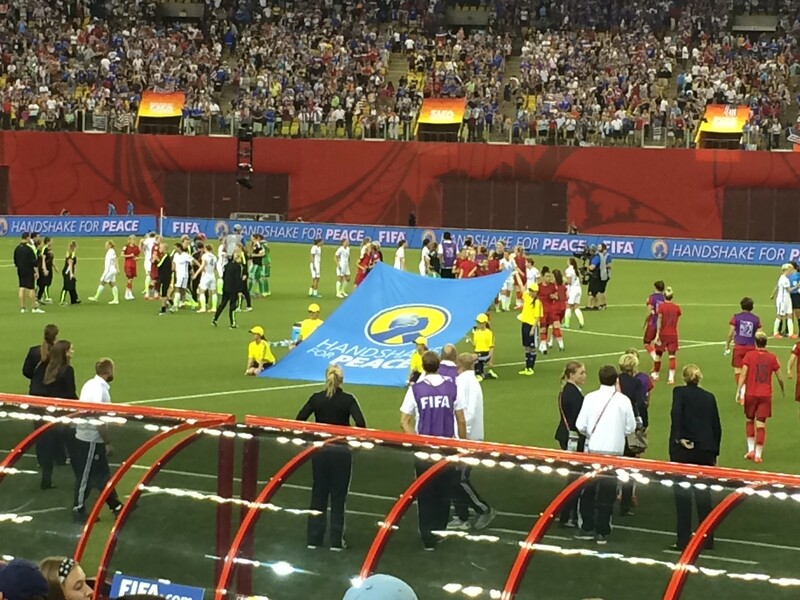 U.S. Women post game after winning World Cup 2015 taken by Emily Gutzmer. One of the wonderful things about soccer is that it is truly a global sport. I follow many sports, but my knowledge of American football or baseball has not served me as well in my travels as my knowledge of soccer. Being at such an important, exciting game reinforced that. The stadium was full, and Team USA clearly had the support of much of the crowd, but people from around the world had bought tickets before knowing who was playing. Walking through the stadium, we heard at least seven or eight different languages, and we knew that we were watching in person what thousands of people around the globe were watching on their televisions. For as much as I follow USA’s national women’s team, I also recognized some of the German players as well from my time in Germany. 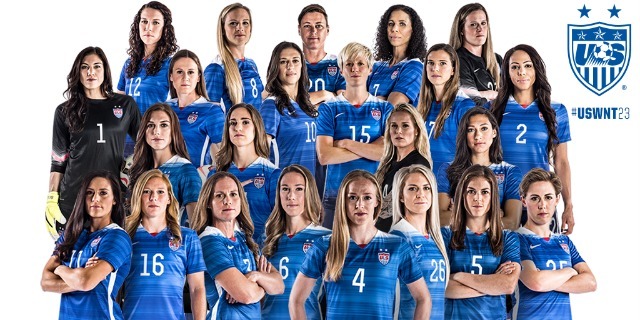 I remembered speaking about them during the 2011 FIFA Women’s World Cup around my kitchen table in Leipzig, listening to friends speculate about how different German players would match up against the other teams. The fervor in the stadium in Montréal was the same as the stadium in Dresden where I saw my last World Cup match four years ago. 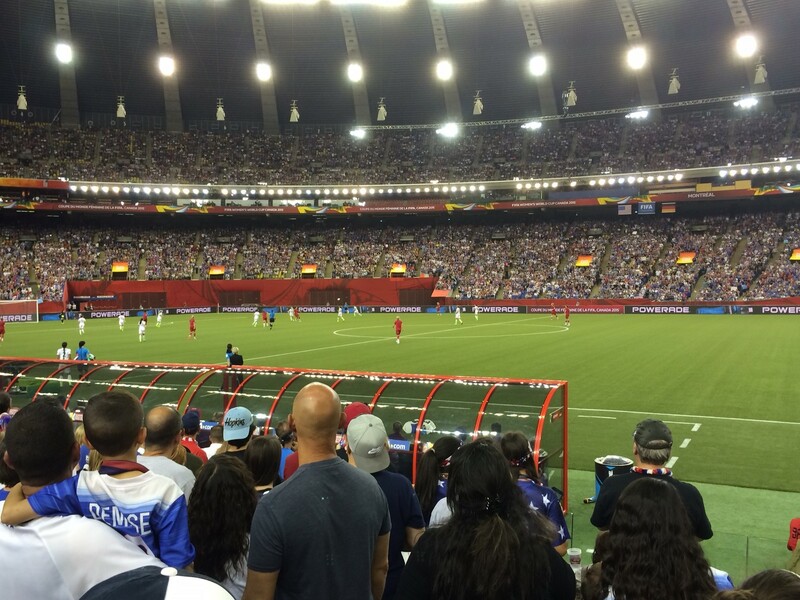 To see the diversity of the crowd in Montréal, and to hear the same names against the same energetic backdrop but in a different country and in a different language, drove home just how universal the enthusiasm for soccer is around the world. Next Post Foreign Trade Zone #71 Expanded!